Nov 8 (AZINS) Shahid Kapoor and Mira Rajput have been married for over three years now but their social media posts tell that the romance is still very much alive in their marriage. 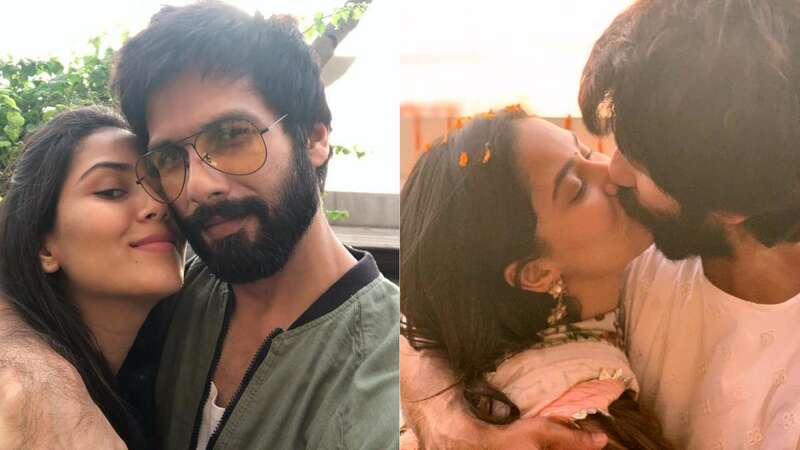 Mira took to Instagram on Wednesday on the eve of Diwali to share a picture with Shahid where they are seen kissing each other. The beautiful picture of the parents-of-two will definitely warm the hearts of their fans. Mira posted the picture with the caption, "Only love Happy Diwali!" Mira also shared a cute picture with her brother-in-law Ishaan Khatter, who celebrated the festival with his Bhaiya-Bhabhi. This is not the first time when they have publically displayed their love for each other on social media. Earlier on the occassion of their first marriage anniversary, Shahid had shared a picture of him kissing his wife on Insta. The two have always been very progressive when it comes to showcasing their love in public. The couple recently welcomed their second child, a baby boy - Zain Kapoor.